Who are our Diversity Advocates? Diversity Advocates are experienced HR practitioners who work together with TalentCorp to address the talent needs of our nation, particularly in areas related to diversity and inclusion. They believe that work-life integration is an effective human capital strategy to attract and retain talent. Experienced in leading HR teams in organisations which promote diversity and inclusion, these individuals share practical tips and guidance on various diversity and inclusion initiatives with other employers. Diversity Advocates work closely with TalentCorp on gender diversity initiatives with the aim to increase the participation of women in the workforce and in decision-making positions. Advocate gender diversity and work-life practices through various media channels, networking sessions and conferences. 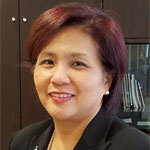 Share experiences and guide employers who are keen to implement work-life practices. Facilitate best practice workshops on flexible work arrangements, work-life benefits and family-friendly facilities. Influence corporate leaders on areas related to diversity and inclusion. Be an ambassador for TalentCorp’s flexWorkLife initiatives; amongst others, enhance visibility of the portal, encourage employers to share/learn best practices and post jobs with flexibility. 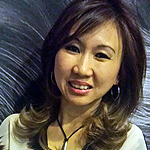 Mei-Lynn has over 20 years of HR experience from consulting to corporate roles and in both generalist & specialist capacity in Malaysia and regionally. 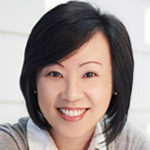 Armed with 20 years of working experience in consulting, strategic and operational HR, Chai Ping was awarded Champion of the Accenture Global Inclusion & Diversity Excellence Award in 2013. 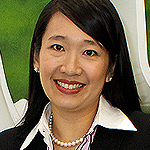 A Diversity and Inclusion champion in Unilever and leading Unilever’s work on inclusiveness and purpose in the ASEAN region, Ming Choo is a senior HR leader with 20 years of work experience in human resource management across diverse markets. 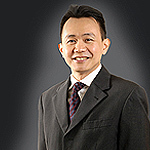 Cheng Cheng led the development and management of Intel’s education programmes across 13 countries in Asia. 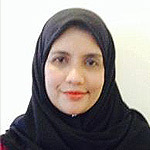 Involved in driving organisational change with focus on Culture, Leadership and Talent Management Initiatives, Nadiah’s career span various industries including aviation, technology and FMCG. Azlina has led Shell to win awards such as the Gold Award for HR Breakthrough Initiatives, Grand Award for Employer of Choice 2013, Best Sustainable Workplace 2013 and (SSON) Excellence Award under the Talent Management & Leadership category. TP has worked with many leading employers to implement flexible work arrangement initiatives throughout his career including restructuring full-time options and implementing reduced worktime options such as compressed work schedules and flextime. 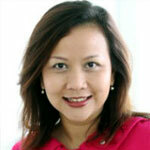 Salika Suksuwan is currently the HR Director at PwC Malaysia. 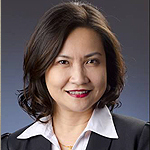 Prior to this, she was seconded to Talent Corporation Malaysia, where she was involved in influencing national policy related to the advancement and participation of women in the Malaysian workforce. 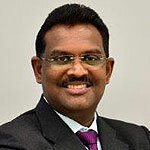 Shankar has over 21 years of experience in numerous human resources functions supporting business operations, manufacturing, IT, sales & marketing and contact centres, amongst others, within multinational environments.